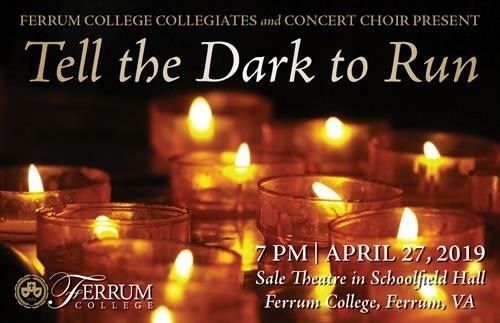 Ferrum College Collegiates and Concert Choir will present Tell the Dark to Run on Saturday, April 27 at 7 p.m. The concert will be held in Sale Theatre in Schoolfield Hall on the Ferrum College campus, 305 State Route 602, Ferrum. It is FREE and open to the public.